With the markets in a volatile state, any help that traders can get to pick the best-performing stocks is a bonus. There’s a growing movement around using social media sentiment as a guide, and SNTMNT is a startup that has today launched an API which can be used to monitor Twitter-based stock sentiment, giving advice on whether to buy or sell stock on an hourly basis. SNTMNT’s Trading Indicator API gives price predictions based on Twitter sentiment about S&P 500 index stocks. Using machine learning algorithms, the company says that it has an accuracy as high as 60%, averaging at 54%. The API can produce hourly and daily buy and sell recommendations, with a ‘confidence interval’ to indicate how accurate the prediction is likely to be. If this sounds familiar, you may recall that we’ve previously covered Derwent Capital Markets‘ hedge fund which traded based on Twitter sentiment. However, Derwent liquidated the fund shortly after its launch in the face of tough market conditions and is now building an app aimed at day traders. In addition to the Trading Indicator API, SNTMNT – founded at Startup Weekend Amsterdam last year – is also launching two other APIs today. 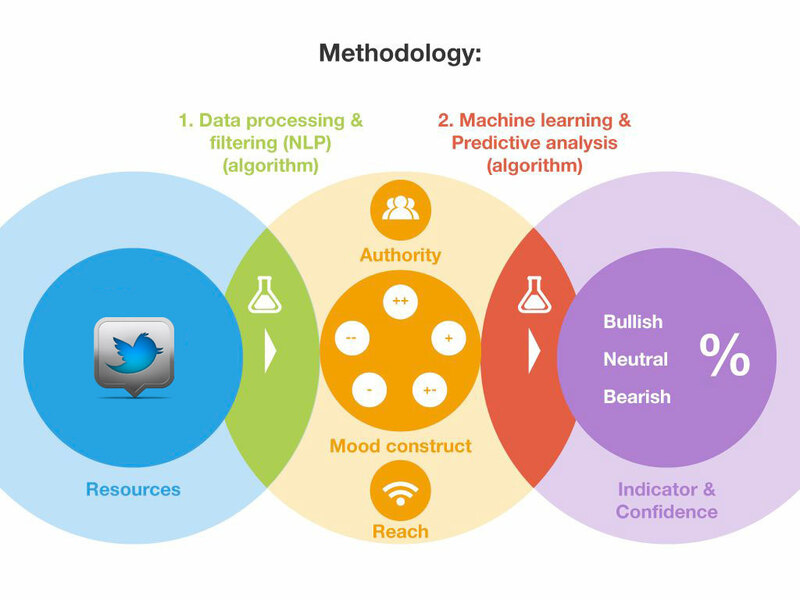 The first measures sentiment around brands (priced between free and $1500 per month depending on how many tweets you want to measure), while the other is a niche financial sentiment API aimed at structuring context from financial jargon in tweets.